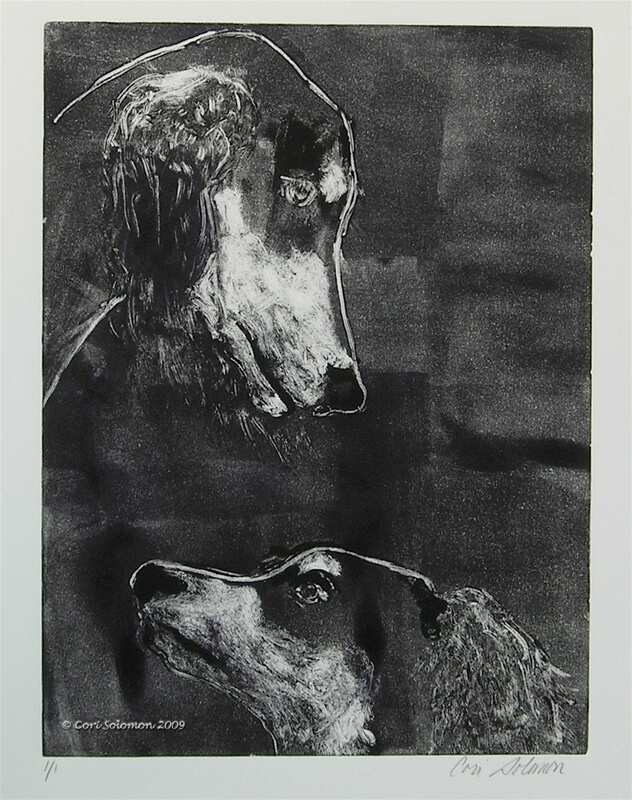 This monotype is of a Saluki and its pup. It shows the love between these two. This Monotype is framed and matted. 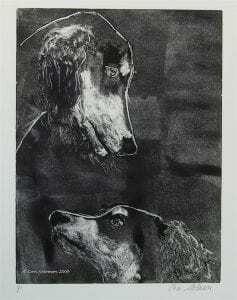 To purchase this Saluki hand pulled print email Cori.